Read-out Instrumentation Signpost: Digital voltage regulator. Leroy-Somer and Kato Engineering have introduced the D700, an automatic digital voltage regulator specially designed to meet the challenges of energy production in the digital age. 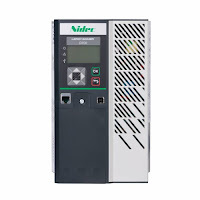 It includes all necessary regulator functions, outstanding smart grid capabilities, and numerous additional functions and options that make it one of the most versatile products on the market. Along with network synchronization management, the D700 features multiple regulation modes, including regulation based on the power factor at the point of delivery or at generator output (especially for networks operating in parallel). Profile monitoring and various Grid Code regulation specifications can thus potentially be programmed directly into the D700. For the first time, all excitation types are supported up to 25 A in continuous operation (50 A in the event of short circuit). In addition, the D700 can control an external power module that makes it possible to offer static excitation systems up to 1500 A. A special double regulation board is also available to ensure total system redundancy. 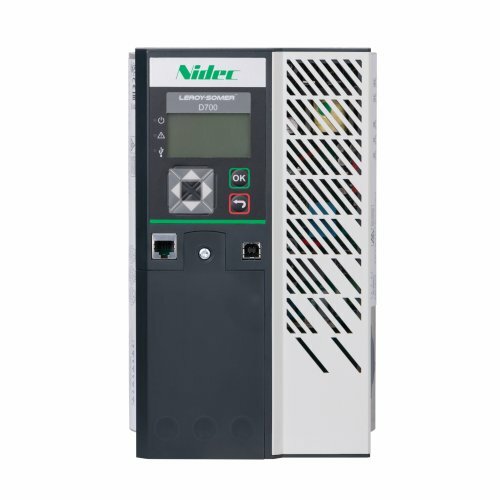 The D700 also includes multiple patented solutions based on expertise and knowledge drawn from Nidec alternators. These functions, such as redundant power bridge, curve functions, simplified load sharing, and excitation limits can be used to improve global system security. In addition to outstanding regulation functions, the D700 also includes many components and options that make it very flexible: a data logger, programmable logic, equalisation and synchronisation, remote regulation, communications bus, current compensation, and "black start" capability (without auxiliary power supply). The D700 is designed to integrate easily into complex systems (including networked systems). In some cases, the D700 can even control certain application processes to avoid the need for an additional system (such as an automaton). The control software supplied with the D700 is intuitive, and easy to configure no matter what the requirements are. It also includes an integrated oscilloscope function. "We are thrilled with the way D700 has been received", declared Jean-François Paillou, Project Manager. "It's the first time that a regulator as comprehensive as this has been offered on the market. It supports all the regulation functions, even the most advanced ones. And thanks to all these integrated functions, we are in a position to offer a solution for a very wide range of situations. We have received excellent feedback from our customers and partners and every day we find more new cases where the D700 really has a competitive edge." The D700 was also designed to be integrated in the GenOSys system (Leroy-Somer and Kato Engineering’s recently launched remote power management system). When integrated into GenOSys, the D700 is able to carry out remote installation monitoring, including a system of alerts and the use of mathematical models for predictive maintenance. To maximize performance, the D700 has been developed based on feedback collected from the field along with the teamwork of various entities in Europe and the US. The requirements specification of the D700 was written based on actual use cases experienced by the Leroy-Somer and Kato Engineering teams. On top of the internal specifications based on the team's own regulation expertise, customer requests received in previous years were compiled and analysed, including the most demanding and exacting requests. The result is an extremely versatile product that offers outstanding ease-of-use in operations and during installation or troubleshooting.